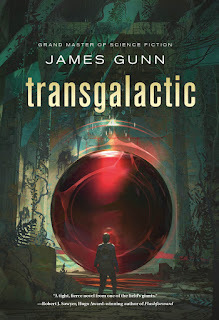 The Page 69 Test: "Transgalactic"
James Gunn is Emeritus Professor of English at K.U.and has published more than a dozen novels and half a dozen collections of stories, and has edited more than a dozen and a half books. His novels include The Immortals, The Dreamers, The Listeners, Kampus and The Joy Makers. Page 69 of Transgalactic is an anomaly—an interlude in the narrative of Riley and Asha struggling to be reunited after the Transcendental Machine of Transcendental has flung them to scattered regions of the galaxy. 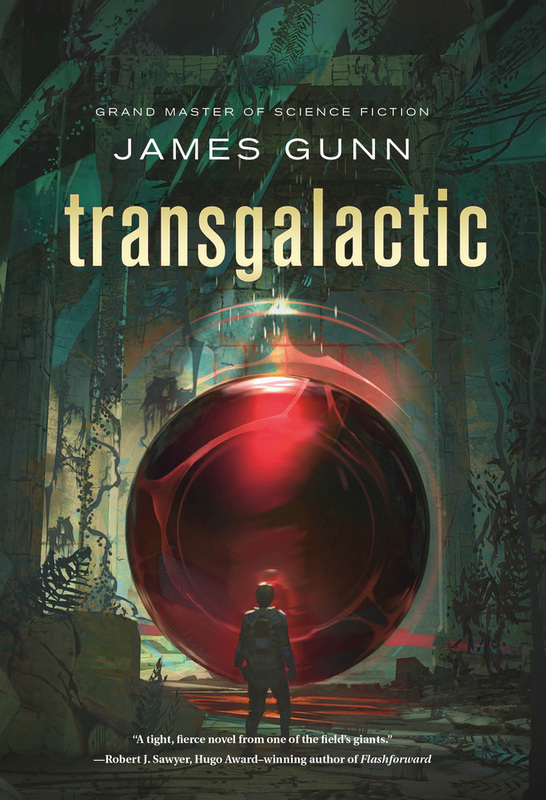 At the same time, page 69 represents the kind of science-fiction thinking that the Transcendental trilogy celebrates: it offers the thoughts of an alien on the thoughts and behaviors of humans, just as eight chapters in Transcendental offer an insight into the lives, cultures, and motivations of different aliens who have joined the search for the Transcendental Machine. It is the special way that science fiction offers to see ourselves and our assumptions as others—quintessentially others—see us, and to compare our beliefs with those that are alien in the largest sense. Page 69, then, reveals the thoughts of the representative of the Squeal people, whose name translates as Solomon, reflecting on a truly alien and shattering experience. He and his people have evolved with a fear of the night and a compulsion not to look at the sky because their world was drawn toward the cataclysmic galactic center. All of his assumptions about his world have crashed around him and now he is hurtling with Asha through terrifying space toward an unknown destination and an uncertain future in which, if he survives, he is faced with the challenge of being the savior of his people and his world. The reader may admire Solomon’s philosophical acceptance of his situation and compare it with how the reader would feel in similar circumstances. Sharing Solomon’s perspective allows the reader to consider the ways in which environment shapes us and how we have the ability to understand that fact and make choices to do otherwise, which is what the Transcendental trilogy—and a good part of science fiction—is all about. 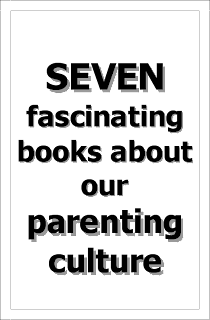 Learn more about Transgalactic at the publisher's website.